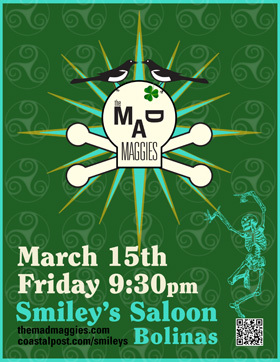 March 15 – kicking off the St. Pat’s weekend – 9:30pm onward – Smiley’s Saloon, Bolinas. We will be rocking the faultline till past midnight. March 16 – Annual St. Patrick’s Celebration – 7:00pm-10:00pm – Norm’s Grille, Danville. 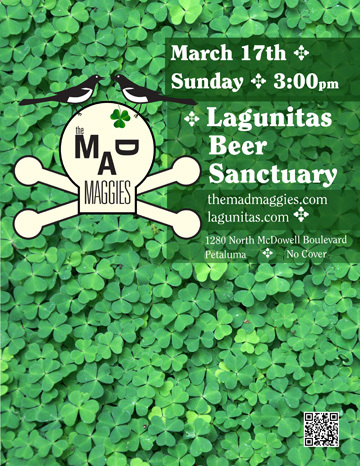 This is an all day event, kid-friendly, no cover! Irish dancers, professional Leprechaun, indoors/outdoors. Beidh go leor craic! There will be plenty of fun! 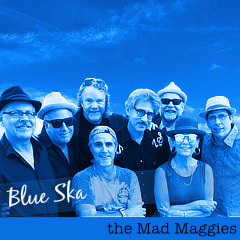 Bolinas, Danville, Lagunitas Brewing Co., live music, Norm's Grill, Petaluma, Smiley's Saloon, St. Patrick's Day.